U.S. mission in Turkey reduces visa services following arrest of consulate employee. Turkey retaliates with the same move. The U.S. mission in Turkey on Sunday reduced visa services after a U.S. mission employee was detained in Turkey last week, Reuters reports. The incident comes after a U.S. consulate employee in Istanbul was arrested last week on charges of links to Fethullah Gulen, a cleric blamed for last year's failed coup. The move was condemned by Washington as baseless and damaging to ties between the NATO allies. 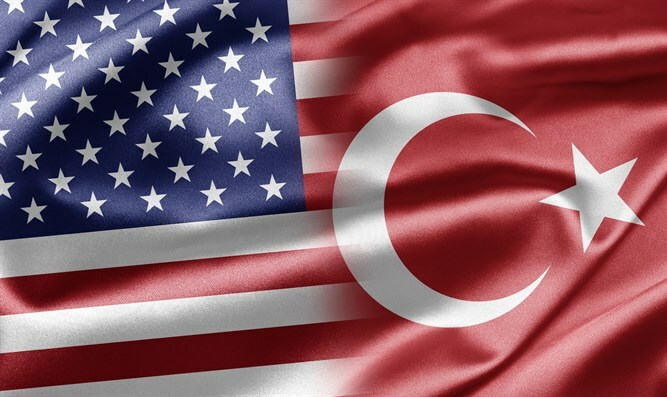 "Recent events have forced the United States government to reassess the commitment of government of Turkey to the security of U.S. mission and personnel," the statement by the mission in Ankara said, according to Reuters. "In order to minimize the number of visitors to our embassy and consulates while this assessment proceeds, effective immediately we have suspended all non-immigrant visa services at all U.S. diplomatic facilities in Turkey." The Turkish embassy in Washington followed the U.S. example, and made virtually the same statement, only replacing the country names, noted Reuters. U.S.-Turkish tensions have risen over U.S. military support for Kurdish YPG fighters in Syria, considered by Ankara to be an extension of the banned PKK, which has waged an insurgency for three decades in southeast Turkey.